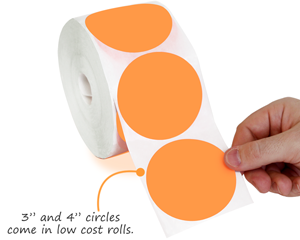 •Color-Coded Circle Stickers stand out -- a helpful option during inventory. We have the largest selection of colors, materials, and options in the industry. 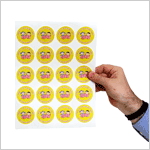 • Includes a permanent, pressure-sensitive adhesive. 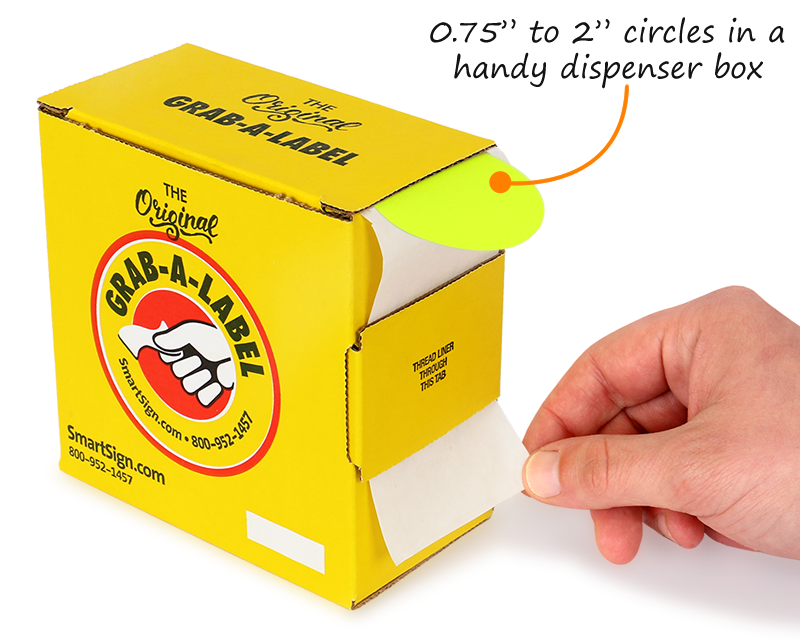 •0.75" to 2" circle sticker rolls are sold in handy, Grab-A-Label dispensers. Apply without wrestling with a roll. •Perfect for writing in your own notes or messages for quick, vivid labeling in up to 10 different colors. • Also check out our Square Colored Labels and Rectangle Colored Labels. Get an instant quote on your custom circle label designs. 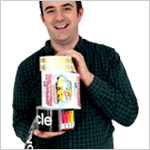 Compare prices for custom vinyl, fluorescent, static cling and over 10 other materials. The labels are available in the following sizes. Click on a label to select size. To order your label, select size and color of label and enter quantity. Click 'Add to Cart' when done.